Just back from session number 5, the first with picosure. The consultation was good, they were a lot more thorough than the tattoo studio but it is a proper clinic. Technician was a nice guy, I'd be less likely to go for a pint with him that the chap from the tattoo studio though. 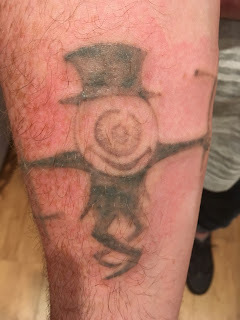 We discussed all the details of tattoo removal how they do it, what to expect. He showed me some photos, explained how it worked. All good. We talk about numbing creams, I say I have a pretty good pain threshold and doubt I'll need it but we'll see - I hate saying things like that, I feel like I'm trying to be an alpha-male - I tell him we'll decide after the first session. 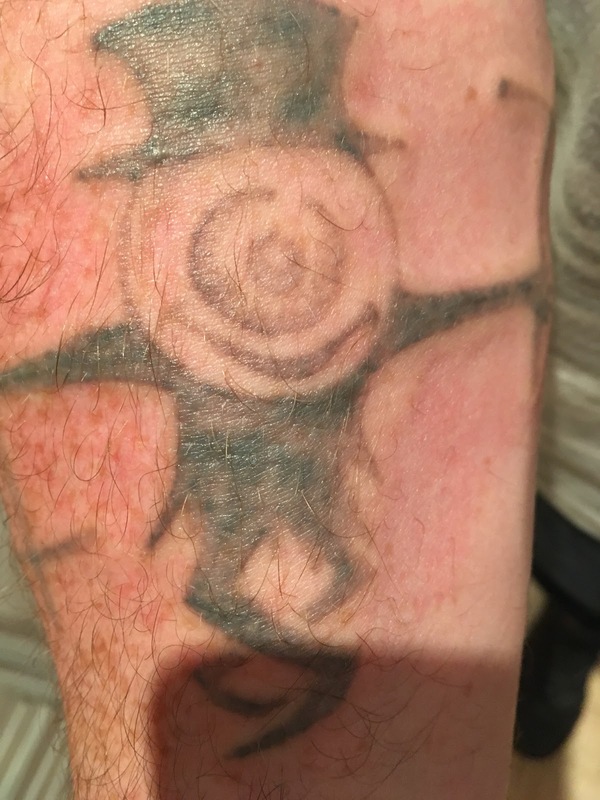 He tells me we should be able to remove it completely with a pack of 6 sessions at €450. This sounds perfect. He has a few people to see and he asks me to come back in 30 minutes. I ask should I pay now and he says we can break it down to monthly payments or whatever I like, no need to spend so much upfront. I get worried. Picosure is meant to be expensive. €450 / 6 = €75 per session. That's cheap. €450 isn't that much, why would I need a payment plan. Did he mean 6 sessions at €450 each? That's €2,700 - ouch. I reasoned this, the first place I went to, with q-switched wanted €960 upfront for 8 sessions. Picosure is more expensive than q-switched. The picosure is in the suburbs vs city centre, but it's in an upmarket area and as far as I know, the only place in Ireland that has this laser. This will hurt. All the things I plan to buy (TV, Car, new bed, other fancy goods) are gone. Best batten down the hatches. The tattoo cost me €80 to have and will cost just shy of €3,000, minimum, to remove. At least it's a good way to tell people not to get a tattoo unless they're really certain. I go back for the session, the machine is Cynosure, I know the brand from reading. He has a separate machine that blows cool air over my arm while he fires the laser, quite a bit more upmarket than a cold pack. He fires a few shots and asks how it feels. I tell him I didn't even notice. We decide to up the laser intensity. This will make it hurt more but remove it faster. It really didn't hurt much. I thought it would be worse than q-switched. The cool air could be a factor but really, I hardly noticed it. The session was much quicker than before, not sure how I feel about this yet. In the tattoo studio, he was very thorough to make sure he got every part. This was like he painted over me very quickly. We'll know the results in a couple of weeks. Once he took the air off, it began swelling and hurting a little, not too bad though. I ask about aftercare, aloe vera for 2 days then bio oil until it heals. I ask about keeping it cool when I get home, I don't tell him about my weird method. He says no need, just let it get air. As I'm leaving we discuss my payment options. I ask him what the total will be be for the six sessions. €450. I pay all upfront, he throws in the bio oil for free! I'm not going to name the clinic as I don't want to promote places. If you've pieced together where it is, book. They're very good, €75 per session is only slightly more than the tattoo studio, has a better laser and better experience - again, not wanting to take away from the studio but I have to be honest. My next session is for Oct 13. By memory, I won't see much fading until then. We'll see how this goes. Two pictures at different distances. Definitely a little swollen and red but feels fine, no sign of any blistering. We'll see how it looks over the next couple of weeks. I can't say yet if picosure is better than q-switched, however for only a 25% increase in cost over a laser which cannot completely remove the tattoo, it definitely seems worth giving it a shot.